One key element that sets the P90X program apart from all the rest out there is the nutrition plan that will be provided. Without a doubt, whether or not you have success with your fat loss workout program is going to depend on the foods you’re eating on a daily basis. You can workout as hard as you like in the gym doing your workout provided by this program, but if you aren’t being sure to eat the right foods at the right times of the day, much of the progress you see will go to waste. Not only does having good nutrition ensure you recover optimally from each workout session, but proper nutrition is also going to make sure that the body starts rapidly using up body fat as a fuel source as well. Let’s take a closer peak into what you’ll get when you utilize the P90X nutrition approach so you can fully see what all this program has to offer. One of the first top benefits that you’re going to see with the included nutrition plan is the fact that unlike some other diet plans out there, it doesn’t go off cutting out complete nutrients from the plan. You’re going to be taking in a very good balance of proteins, carbs, and healthy fats to not only support high energy levels but also keep fat burning revved at all times. Let’s face the facts – while low carb diets may work initially, eventually you will plateau and become quite miserable. If you want to maintain hard workout sessions, carbs will be a must and the P90X nutrition program is going to teach you which carbs to eat to ensure that they don’t cause you to fail at fat loss. Instead, your carbs will be used directly for energy to fuel those intense workout sessions. Second, another key element in the nutrition plan is the fact that it really takes care of proper workout timing. The specific foods that you eat right before and after the workout are going to play a big role in how well you perform as well as recover afterwards, so you must be sure to get this right. The P90X program will teach you what foods to focus on during these times as well as which ones to avoid so you can make sure that you get the most benefits from the time that you put in the gym. If there’s one time in the day that’s most critical to dietary success, pre and post workout nutrition would be it. Another great benefit of the P90X’ nutrition plan that many people really appreciate is that it’s a complete done-for-you system. While some other diet programs may teach you theory behind proper eating, they then let you fend for yourself as you try and put together a meal plan to follow. Not the P90X, however. This plan will tell you what to eat and when at each point in the program so that you don’t have to do any figuring out on your own. If you need guidance and assurance that you’re doing everything correctly, the P90X will provide that perfectly. Finally, the last great thing about the P90X nutrition plan is that it’s going to supply you with a very wide range of recipes so that you never feel bored on the plan. Dietary boredom is one of the biggest reasons why people often fall off their diet program and the P90X program takes this out of the picture. With so many different recipes to choose from all of which support a healthy and lean body, you simply cannot go wrong. This will be more like a healthy lifestyle approach to eating than it will be a diet and the fat will melt off faster than you ever thought possible. So make sure that you do take full advantage of the nutrition program as you get started with the workouts. Using them both in combination is what will send your results into overdrive. The Phase I section in the nutrition guide has portion plan and shopping list sections listing the foods to buy at the grocery store and how much to eat at each sitting. Along with the lists of foods, there is a list of recipes and meal plans. Like Phase I this phase provides you with a portion plan, shopping list and recipes for those of all levels. 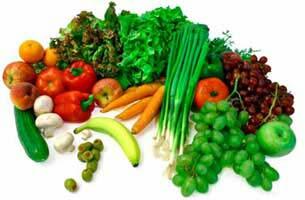 Levels are determined at the beginning of the program based of your daily caloric needs. 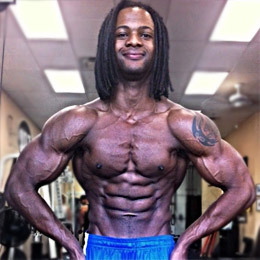 Nicknamed the “endurance maximizer” for days 50-90 of the P90X program phase III is an “athletic diet of complex carbohydrates, lean proteins and lower fat.” The emphasis on carbohydrates for phase III assumes the P90Xer has progressed and is ready to complete their body transformation. The next section of the nutrition guide deals with “quick options” which are foods that take little time to prepare, “convenience foods” which take almost no time to prepare and “fast foods” which is a list of healthy options at popular fast food chains. 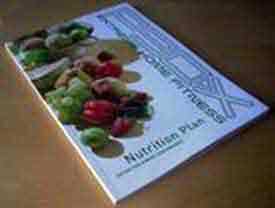 Much of the last 7 pages of the nutrition guide is a daily nutrition journal which includes an entry for every day of the 90 day extreme fitness program known as the P90X. It should be noted that each box is rather small so if you are to keep track of your nutrition more thoroughly you may want to either copy and enlarge the guide’s journal pages or create your own journal. For a more detailed analysis, visit the Comprehensive P90X review.